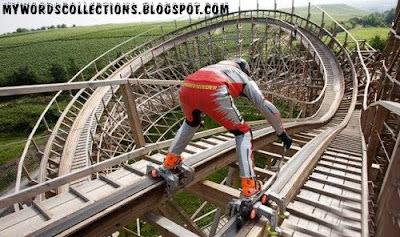 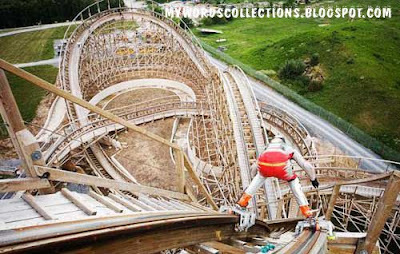 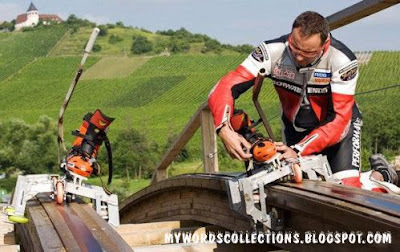 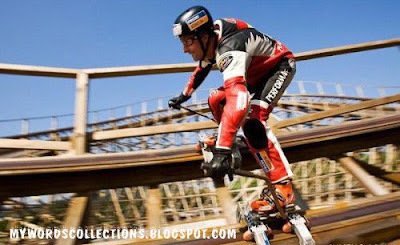 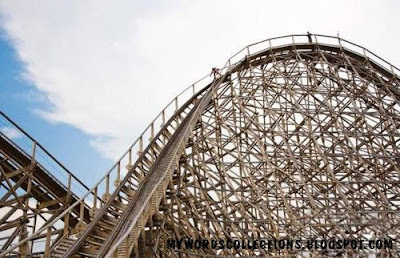 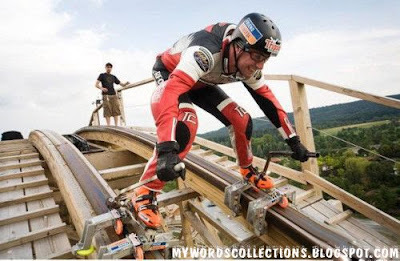 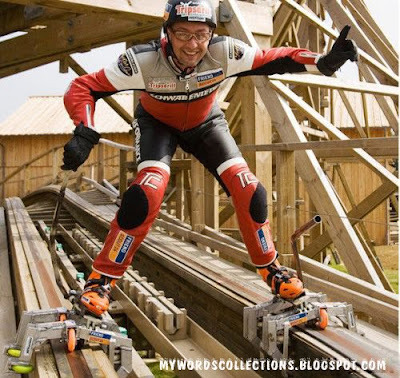 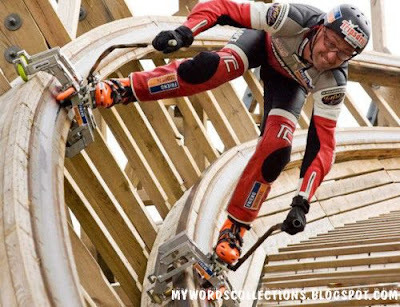 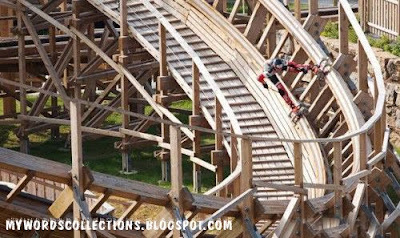 Extreme skater Dirk Auer skated the Tripps Drill Roller Coaster in Stuggart Germany wearing only a pair of customized in-line skates. 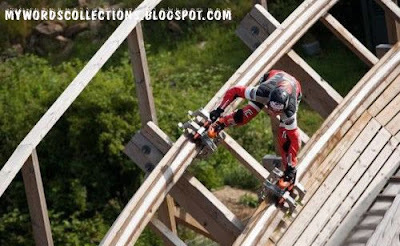 Reaching speeds of 90 km/hr on the first hill, it took him less than a minute to complete the track. 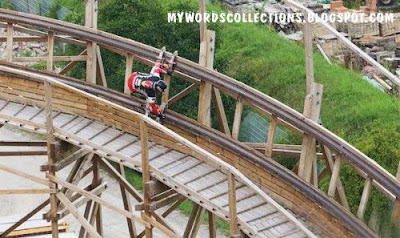 Because of the likelihood of a rogue nail which would ’cause instant death’, this was considered one of the most dangerous stunts ever.